"Our customers just want to get in and get out"
How many years have we heard that dreck? The proving ground of all the technological wonders that could replace human contact became the grocery store. With their low margins and large stores, they were the perfect laboratory to prove how cold technology could help us. The handheld scanners, intelligent aisles and self-service were all designed around those claims and allowed those stores to cut labor to try to build profits. That's why this story on MSNBC got my attention, that Albertston's grocery stores are eliminating self-checkout lanes in an effort to encourage more human contact with its customers. The company which operates 217 stores in seven states will eliminate "all self-checkout lanes in the 100 stores that have them and will replace them with standard or express lanes," spokeswoman Christine Wilcox said. "We just want the opportunity to talk to customers more." OK if you are one of those retail psychics predicting a turned-on, mobil, self-service nirvana you might be hyperventilating about now. That's because grocers including Kroger and Publix are now openly questioning if these self-serve lines are good for business. Whoops, there was also this fact in the Harris Interactive survey that found four out of five mobile shoppers frustrated with the experience. Couple this with the recent finding from London that an individual who switches from a physical grocery store to a digital store, often does so temporarily and your whole technological world is upside down! And to me, that's good for other businesses as well. 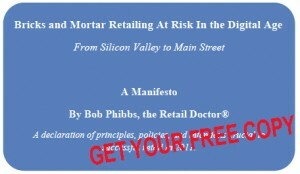 If you are a C-level executive or higher and haven't read my manifesto: Bricks and Mortar Retailing at Risk in the Digital Age - you should. 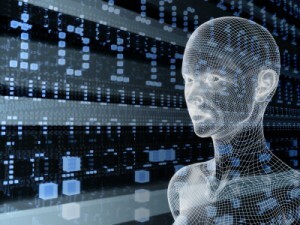 Because in there I outline why the rush to cold technology will ultimately not be good for your business. Oh I know the vaunted Harvard Business Review said just about a year ago, "Our data show that customers today are statistically indifferent about this — they value self-service just as much as using the phone." It went on to proffer, "What is it that makes self service so appealing? Maybe it's the efficiency of the interaction — the airport kiosk is probably faster than interacting with a check-in agent — but that wouldn't explain why we go out of our way to take care of our service needs ourselves." Look if an industry with one of the lowest net margins and median profits EBITDA (before income taxes and extraordinary items)was 1.57% in 2010, is backing away from technology to put actual human beings in the store, maybe the rush to all things technological isn't all its cracked up to be. You're no different and neither are your customers. Which of course, has always been my point... humanity - its what's missing from retail these days.